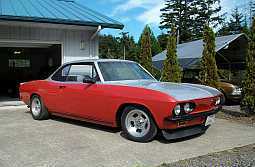 Cost To Paint A ‘66 Corvair Sedan? I’m a younger newbie, desperately been searching for a reliable source or other threads to find out about this question. I just bought a ‘66 Corvair Sedan as a first car, totally not expecting it to be great or anything. For the price it was pretty nice! I’d just like to repaint it. The condition cosmetically isn’t great. Multiple scratches as if someone had keyed the car all along the right side, many more scratches and a large ding on the front trunk lid. As well as a large rusting dent under the bumper. A small hole on the passenger side. With all these outter cosmetic issues, I wasn’t quite sure what to think. Except that I wanted them decently fixed paint wise. I don’t mind the dinks or some scratches, Im just wanting it to be shiny and more pleasant to look at. At the time I have 1k saved up, obviously not enough for a good paint. Closest research I’ve found is the most of 5k to 6k, however I’d like a good paint job, I can truly only afford about 2500 or so. Does anyone know what that could get me, if anything? 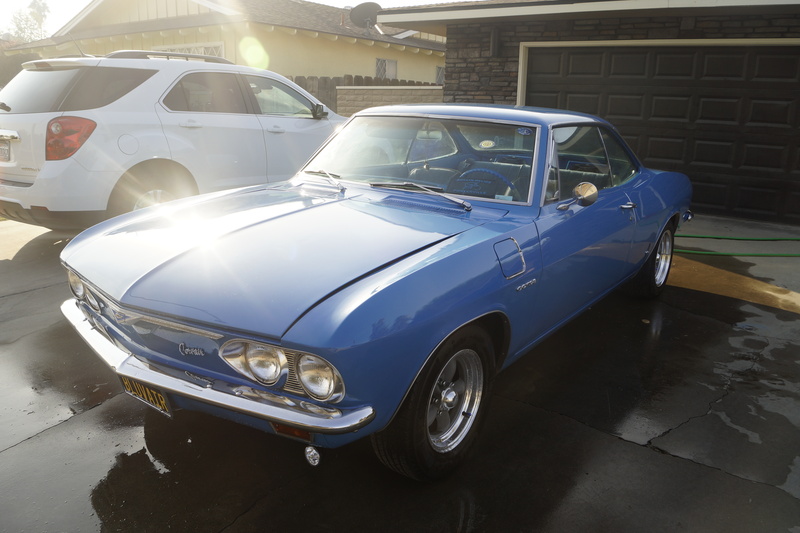 Re: Cost To Paint A ‘66 Corvair Sedan? If you are a "younger" newbie you might consider signing up with a community college auto body shop class and then do the work yourself. Lots of $$$ is charged by body shops for their time and effort. Now where are you located? And WELCOME. 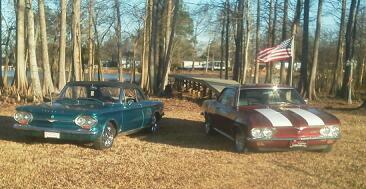 I bought my first Corvair 42 years ago at the young age of 16 and have had them ever since. Oh and 4 DOORS RULE! Why the name? Crossbone sounds much better and you won't be a newbie for long! Only you can shop your area.. Try to find a local retired painter that works out of his home... more likely to get a higher Quality result for the $$$ you have..
Also, local High School / Adult education classes are usually looking for something to work on.. I hope I’m not breaking any rules by being on this site, I am that age. Hahah! I just couldn’t find any other place to strictly discuss Corvairs. I wish I’d be able to do that, however at the time I cannot. At least can’t go to a auto body shop class yet..
I’m currently in Oklahoma, are there different prices for painting or is t just a welcoming statement? Haha sorry! Funny that you say that! I was actually originally looking for a coupe. They seem smaller because I am quite tiny. But now that I have a sedan I’ve really much come to loving those 4 doors! Heck yeah! I agree with Tim on the Community College route. As an alternative if there are any Maaco shops in your area the quality is not that of a good body shop but the cost is usually not to bad. About 80% of any paint job is in the prep and body work. 10% is the paint itself and the other 10 is color sanding and buffing. In your price range I would recommend that you try your hand at the bodywork and prep and then have MAACO do the paint job. Bodywork can be done without a bunch of expensive tools if you have the time and inclination. Some sandpaper and sanding blocks and a hammer and dolly set and you are halfway to being a body man. Start removing the scratches with 180-220 grit and prime. There are decent primers in cans these days. Buy some body filler and follow the instructions. Shape filler with 80 grit then finish with 180/220 and prime. Dents can be worked out. Push up on the low spots and tap down the high ones before filler. Depending on your long term expectations you could fill the rust hole with filler or there are adhesives out there that are made for panel replacement. Once all the scratches and filler are finished in 180/220 and primed then sand the whole car down with 400 grit sandpaper. Each of these steps may need repeating several times to get where you want. Put a little on, sand a little off etc...At that point it’s ready for MAACO to seal and paint. What really makes for a nice paint job is removal of as much trim as possible rather than masking. Figure $1000 in tools and materials for body and prep, $1000 to MAACO for their better paint and sealer and the experience of doing your own bodywork is priceless. Bodywork isn’t rocket science. It is a skill for sure but nobody dies if you get it wrong. Worst case scenario you sand it off and start over. Edited 1 time(s). Last edit at 04/09/2019 06:23PM by streblerm. One thing you can do yourself that can possibly save money, but will result in a better paint job is to remove the trim and bumpers. Some shops won't remove them for their lower price paint jobs. Removing the trim around the front windshield and rear window would be the a good idea, but can be made easier with the special tool to release the clips. Everything else is held on with screws and bolts. The exterior door handles required taking off the interior door panels, so those are a little more work. 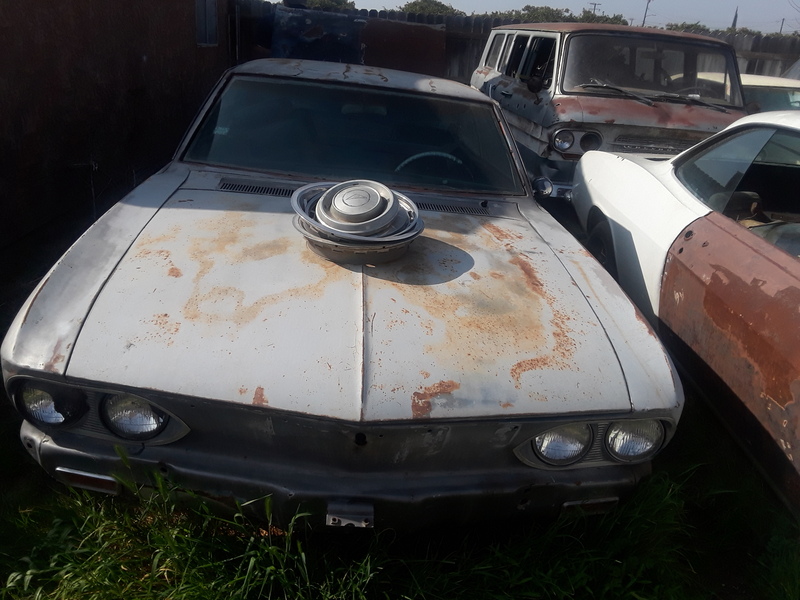 In my opinion, it would be real hard to paint around the Corvair script emblem on the front panel and engine lid, and they are very easy to remove. Careful masking to keep overspray off of areas where it shouldn't be is important. As others mentioned, I took a body and paint class at a local technical center back about 1980. It was one of the most useful classes I took. If nothing else, you learn about all types of paint and know what to look for when you go shopping for a paint job. I am in the middle of painting my 65 as I type . It's a lot of work if done correctly . I am sanding all of the paint of to bare metal because it has had one repaint . Lots of DA sanding . And once you remove the paint you find previous bondo repairs . More work . I had to remove the front and rear windows because of rust under the window trim . The front fenders are rusted aft of the wheel well and I have to weld in the patch panels and the doors have some rust at forward lower corners . More patching to do . Los of little dents to fix . But it is a good solid N. Carolina car . I will be changing colors from green to Burnt Orange . so that means painting the inside the new color to include the dash . I don't know what I would charge but it would not be cheap . Go to craigslist and look under services for auto and body work. Nope. 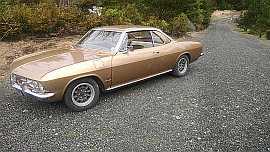 You asked a Corvair question, you are fine! All the above advice is good. Depends on how much prep work you do yourself, like the one post said, removing the bumpers, etc. But it could easily range from $2500 to $11,500 (as in a full restoration). My own full, down to the last nut and bolt, pavement-up, restoration was quoted on the estimate as the latter figure, while my convertible's just-strip-the-outside repaint was quoted as the former. Just remember the three things you can get from a body shop; you can have it done affordably, you can have it done quickly, and you can have it done well. BUT you can only have two of the three, so choose wisely. Simple answer. If you are not doing it yourself, you need to have a body shop/voc school look at it in person and get a guestimate. +1 on the prep work. Ive used maaco a few times. The key is to yank bumpers, lights, anything else removable, do the prep work yourself, I've even pulled glass before. Then the average maaco job with a single stage paint around here is like 400$. Haven't used Maaco, but FYI, they're having a sale until the end of the month. Can you post some pictures of your car? It may get you some more pointers. But those pointers above are all good information! 1) Take plenty of pictures of each item as you are removing them and tag what goes where and with which screws. Back when I was in high school, I did the sand and prepwork on my Honda Civic and took it to Maaco. The package I selected was under $2k I believe. Last year here in California I found a local opo and son shop that did mine for $3000--$1500 for the pint job, $1500 for the body work. The key is to shop around, and TELL them you are shopping. There are hundreds of painters in any given area, and they compete with each other. I agree you should tell the painter your budget up front--about half to 2/3 of what you're really willing to pay, so WHEN they come back with items they say they can't do for the price they gave you, you will be ready. Same goes for anyone you ask to help w/ the interior--but I did my interior myself, it was a great confidence builder and relaxation technique. Watch YouTube videos, buy some tools and do it yourself, it's fun learning. Instead of spraying the automotive paints start out painting with Rustoleum, amazing how good it looks, may not last long but it's good for learning.